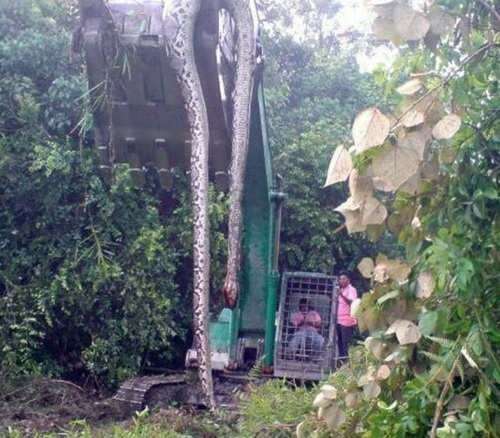 Photograph purporting to show a 55ft snake found in a forest in Malaysia has become an internet sensation. The post claimed that the digger driver was so traumatised that he suffered a heart attack on his way to hospital and later died. The dead snake was 55ft (16.7m) long, weighed 300kg and was estimated to be 140 years old, according to the post.